You are able to return unsuitable items within 14 days of receipt. Please return unsuitable items in its original packaging. Please note, we cannot offer refunds on swimwear if the hygiene seal is not in place or has been broken. You can now return parcels from the Republic of Ireland for FREE using Parcel Connect. 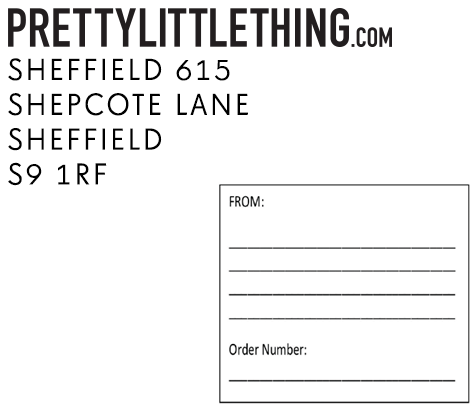 To print your FREE returns label click here and drop it into your local Parcel Connect Store. We aim to process your return and refund for you ASAP, but on occasions it may take up to 21 days for your refund to be processed after you have returned your item(s) to us. If you have not been refunded after 21 days of returning the items, please contact us with the proof of postage information on your Post Office receipt and we will check this out for you. We will refund the postage charge if you have canceled your contract with us in accordance with the Consumer Contracts regulations. Please see our returns policy for more information on your cancellation rights. If you don’t have an account – that’s ok, you can still return for free.